This quiz corresponds with the seventh list on my "No Excuse Vocabulary List." 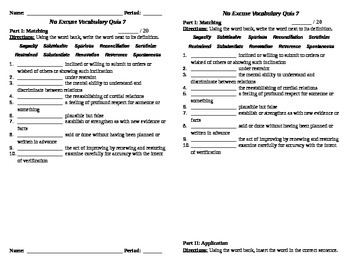 The quiz has two sections. The first section matches word to definition. 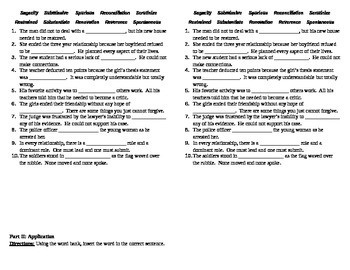 The second section asks students to complete the sentence with the correct vocabulary word.